James Gustave Speth, in The Bridge at the End of the World, articulates a percussive condemnation of the existing form of capitalism, or what Noam Chomsky refers to as “really existing free-market theory.” He argues that while small improvements have been made in local situations, the global economic order and the concomitant drive towards growth or, the principle tenet guiding the “secular religion of the state,” has maintained a disastrous record on global environmental issues. The environmental degradation that plagues Earth literally threatens human existence on a mass scale. Climate disruption, including global warming, deforestation, desertification, the loss of freshwater, and other serious environmental damage in being done by the dominant economic mode of production. Thus, Speth asserts that fundamental changes in the way the world functions and is organized are required to reduce the enormity of and rectify this precarious situation. Although Speth advocates for, and weights the positives and negatives of, a variety of different ways to reverse the damaging effect of the capitalist mode of production, his primary emphasis is on the fundamental restructuring of the system as we know it. He argues, as many have before, that capitalism is an economic system that requires constant growth. The drive towards capital accumulation constitutes the “secular religion” of any business and corporation and, subsequently, it is what directs the state. Constant expansion, then, is an inherent tendency in the capitalist mode of production. While Marx originally located this fundamental aspect, arguing that capital accumulation eventually led to exploitation, overproduction, and crashes in the system, Lenin argued that the need for expansion led to imperialism and war. Speth, although not the first, continues this tradition by showing how the desire to produce for growth, and not for human need or environmental concern, leads to environmental destruction. However, Speth does not begin with broad and radical changes. First, he maintains that a mix of environmental regulations and standards, along with market mechanisms, will provide a more beneficial outcome than just regulation. Interesting, he claims that “documented economic savings from cap and trade approaches…have been real and substantial.” This is an interesting claim, considering the progress of cap and trade in both Europe and the United States concerning reducing CO2 emissions have been negligent at best. Despite this, while Speth takes time to address various market mechanisms and other machinations, such as cap and trade, within the mainstream establishment, he makes it clear that these are important, but ancillary tools for reducing the damaging aspects of capitalism. Speth argues that the environmental movement has made some important gains, but provides a serious critique of that movement as well, arguing that a new and “real” environmental movement, located within grassroots communities and recognizing the solidarity that must exist on global issues, is the hope for change. He identifies the characteristics of the “old” environmental movement. First, the old movement believes everything “can be solved within the system, typically with new policies, and more recently, by engaging in the corporate sector.” Second, it tends to be “pragmatic and incrementalist.” Third, it tends to “deal with the effects rather than the underlying causes.” It also relies on economic indicators and the “right cost,” maintains a sectarian approach to policy solutions, and “entrusts major action to expert bureaucracies.” These assertions are, on the whole, accurate. Therefore, Speth articulates the need to drastically break from this corporate, bureaucratic, and elite mode of organization. The “old movement” must be replaced with a new one, where GDP is not the main driving factor and economic concerns are not the main considerations. Instead, this new environmental movement ought to strive for a “post-growth society” where raw economic growth is replaced with growth in green jobs, health services, environmentally friendly public transit, nonmilitary government spending, etc. Speth spends a great deal of time tearing down the idea that GDP represents material well-being or happiness in a society. In this instance, and many others, Speth continually ties environmental well-being with human well-being. Another primary features of his strategy involves corporations. The very nature of corporations, he argues, ought to be fundamentally changed from entities which exist to increase shareholder returns to things which exist to serve humanity. This would entail a serious re-writing of the modern corporation and bring a new meaning to a corporate charter. While Speth does not go so far as to argue for the elimination of corporations as illegitimate power structures, he does construct and impressive list of way to limit corporate power. He argues that corporate charters ought to be revoked or countries ought to expel corporations if they threaten the environment. Similarly, he maintains that limited liability ought to be rolled back and corporate personhood should be eliminated. Lastly, he asserts that politics ought to be free of corporate influence through campaign finance reform and corporate lobbying ought to be drastically reduced. These are all extremely progressive steps that could, and should, be taken in any society with a vestige of democracy left. The strongest aspect of Speth’s work is his argument that society needs to rid itself of the economic model and values it currently abides by. He quotes William Robinson who argues that global capitalism is headed for a crisis because of overproduction, polarization, the crisis of state legitimacy and sustainability. Robinson is correct to point out that when an “organic crisis” of both “structural (objective)” and “hegemony (subjective)” nature, that change is possible. Change, however, can also lead to authoritarian or fascism and not necessarily towards progressive social change. It is important here to note that the concept of hegemony cannot be abstracted from political control. Ideological hegemony, as the Italian Marxist Antonio Gramsci argued, is intricately tied to political and economic control. Therefore, the grassroots environmental movements that Speth advocates for need to be a direct force that counters the hegemony of the dominant state apparatus and the ruling class. If a strong, leftist, radical alternative is not present when these fissures erupt in the ruling class legitimacy, crisis could allow for the galvanization of political and economic forces even worse than today. Finally, Speth maintains that a synthesis of localism and direct democracy are the only viable solutions to the global environmental problem. Although he does not provide a particular model for how direct democracy would function, he provides a fervent defense for the concept. Speth articulates both a dystopian and utopian vision of the world in this book. For instance, his vision of the world as it currently exists, and as it would exist if it continues on the same trajectory, is an extremely depressing one. The notion of serious environmental catastrophe, the huge polarization of wealth, the highly deteriorated democratic institutions, the growth of corporate power, all of these things are dystopian to the extreme. They present a sad state of affairs, but Speth correctly points out that we need to be reminded of these things, because until we are aware of the scope of the problem, we cannot fix it. Thus, dystopia serves a purpose, because it is reflective of reality and acts, in the same way that Orwell or Huxley act, to warn people of the possible ramifications that may arise if we do not take action. In the reverse, however, he also presents a utopian vision. Now, I feel I must clarify what I mean by this. I do not believe his vision is utopian because it involved a fundamental reorganization of society. On the contrary, I argue that this is the only way to achieve both human liberation and environmental sustainability. Instead, I believe his vision is utopian because he seems to think that simply the presence of a strong, grassroots environmental movement can make these changes without the dismantling of the power structures that currently exist. He points out that the institutions in U.S. society are highly undemocratic and need to be restructured, but appears to argue that this can be done without the organized power of the working class aimed at a revolutionary upheaval. I just do not see how, without directly challenging capitalism and having a commitment to a system to replace, that these power structures can be toppled. The need for a grassroots environmental movement with a focus on social justice is obvious, but what are the limits of this movement? Is it to reform corporations? To reduce the power of undemocratic institutions? These would be important victories, but they cannot take us all the way. I argue that a revolutionary organization, which understands that power rests in who provides the labor and who controls the means of production. Thus, until working people control the oil rigs, the fisheries, the factories, democracy, and sustainability, cannot be achieved. Workers, democratically deciding upon what to do with the resources at hand, can redirect resources from harmful industries and towards renewable energy and protective environmental measures. Until the profit-motive, and capitalism, is done away with, environmental sustainability is utopian. And I do not think an environmental movement alone has the potential dismantle the entire system of corporate power. Despite the plethora of progressive reforms toward corporate power, Speth never actually challenges the legitimacy of corporations by questioning their source. Corporations are, by nature, illegitimate power structures and private tyrannies. The debate should revolve around why we need them at all. I tend to agree with his assertion that there needs to be a “democratization of wealth” and that a blend of localism and direct democracy are vitally needed. I, however, reject the notion that socialism is incapable of providing this. For instance, he argues that neighborhood assemblies in every rural, suburban, and urban district need to be created. This is true, but why shouldn't such important democratic decisions also be rooted in the workplace? In every revolutionary situation, where a “democratization of wealth” was desired, workers created workers’ councils where they decided how to organize society. This was true of France in 1968, Chile in 1973, Iran in 1979, and Poland in the 1980s. Working people, once organized, how their hands on the levers of power. [P]eople who pronounce themselves in favor of the method of legislative reform in place of and in contradistinction to the conquest of political power and social revolution, do not really choose a more tranquil, calmer and slower road to the same goal, but a different goal. Instead of taking a stand for the establishment of a new society, they take a stand for surface modifications of the old society. I believe this is true of the environmental movement. We cannot simply hope for small reforms of the current existing system. We cannot even rely purely on the ideas, however progressive they are, provided by Speth about limiting corporate power and making corporations work for human good. The “conquest of political power and social revolution” by working people, who have to live with the day-to-day effects of environmental degradation, are the ones who can reverse it. Until then, a “post-growth” society is unrealizable, and any reform can be averted, rolled back, or simply dismissed by illegitimate structures of power. Speth is right in arguing for a grassroots environmental movement, and he is right in linking that movement with social justice, but he is incorrect in assuming that a fundamental restructuring of society can be done with the “conquest of political power and social revolution” that we need to do it. Support Our Veterans, Bring Them Home! For Veteran's day this year, instead of empty slogans, perhaps we ought to consider "Supporting our Troops" in other ways, like bringing them home to their families and not forcing them into situations where they must maim and kill innocent people in Iraq and Afghanistan, and all the other places in the world where U.S. military force is employed. I have compiled a brief list of resources that I think may help dispel the myth that support for veterans ought to be equated with supporting the imperialist ventures manifest in U.S. foreign policy. I hope these will be using in countering the dominant hegemony around ultra-jingiostic days like today, and help us see that it is not foreign citizens or critics of imperial policy that are the enemies of U.S. troops, but the leaders who will push them into war with callous regard for their safety, their lives, or their families. "Superpatriots are those people who place national pride and American supremacy above every other public consideration, those who follow leaders uncritically, especially in their war policies abroad. Superpatriotism is the nationalistic hype propagated by officialdom, the media, and various flag-waving groups. Finally, Parenti poses an alternative to superpatriotism, arguing that the real patriots are those who care enough to educate themselves about our country’s history and its present plight. He reminds us that it is not “anti-American” to criticize unjust social conditions at home or oppose global policies pursued by our rulers. Rather it is our democratic right and patriotic duty to do so." The full-length 2005 film "Sir, No Sir!" Lastly, here is the page to Iraq Veterans Against the War. Here is a very brief outline of their program. Reparations for the human and structural damages suffered in Iraq so that the peoples there might regain their right to self-determination. Iraq Veterans Against the War has also passed resolutions opposing the war in Afghanistan, in support of non-violence, and opposing the Don't Ask, Don't Tell policy. Also, please go here to view a far more in-depth, articulate account of their opposition to U.S. wars. The best way we can honor our soldiers is by bringing them home to their families and loved ones, supplying them with the adequate healthcare to combat the horrors of war and the resulting PTSD and increased depression, and by providing reparations to the countries that these young men and women were forced to go over and wreak havoc upon. Let's remember the veterans who have been pushed into fighting and dieing, but let us remember alongside them the innocent civilians, the mothers and daughters, the fathers and sons, who have been witnessed the cold hand of death take away their loved ones and family members. 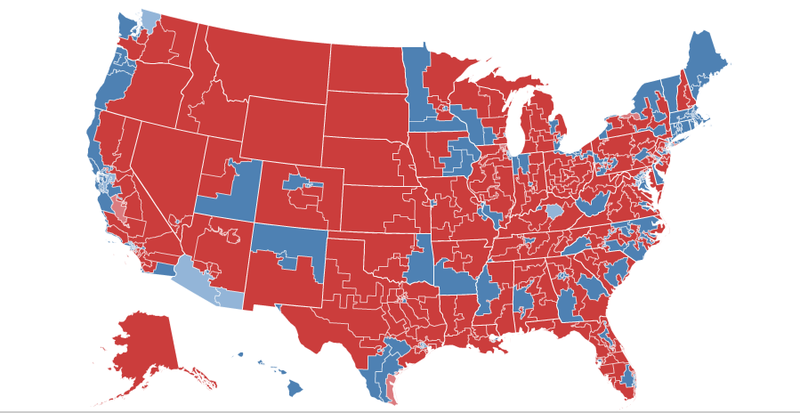 The 2010 Election: A Tea Party Tidal Wave or a Call to Action? This is it, the biggest election in world history. The most percussive, profound, serious electoral battle in the last century. The people have spoken, America remains a center-right nation, the grassroots Tea Party movement has voiced its outrage with big government... or so the corporate rhetoric would have us believe. The Republicans have swept the Democrats out of the House, leaving them barely clinging on to the Senate. From the ways some political pundits and commentators are talking, you would guess this was the final nail in the coffin for the Democratic party. Let us not forget that just four years ago the Democrats easily wiped the floor with Republicans, taking control of Congress and, two years later, the Presidency. It comes as no surprise that the mainstream media presents this as the downfall of the Democratic party, as a rejection of the purportedly "progressive" economic policies, of "social justice," which Glenn Beck so prodigiously despises. To the liberals, this election is a disaster, exaggerated and overplayed in its significance. Social networking websites Tuesday and Wednesday night were filled with the groans and moans of liberals complaining about Republican victories. Rightfully so, perhaps. There is no doubt that the ideas, both social and economic, of the leaders of the Tea Party movement and right-wingers who captured so many seats and offices Tuesday evening are reprehensible. That does not, however, mean that the Democrats provided a viable alternative from the left. Instead, they pandered to the most reactionary, most conservative elements of their party in order to "reach across the aisle" and make "pragmatic concessions" to right-wing demands. "Over the last two years, we’ve made progress. But clearly, too many Americans haven’t felt that progress yet, and they told us that yesterday. And as president, I take responsibility for that. What yesterday also told us is that no one party will be able to dictate where we go from here, that we must find common ground in order to set—in order to make progress on some uncommonly difficult challenges." With all this Democratic back peddling on even their extremely mild, timid legislative actions over the past two years, the question remains, was this election an issue of the American people coming back to their center-right roots? The statistics simply do not live up to the hype. 2. In 2008, 18-to-29-year-olds made up 18% and those 65-plus made up 16%. Young people actually outvoted old people. This year, the young cohort was down to 11%, and the seniors were up to a whopping 23% of the electorate. That's a 24-point flip. 3. The liberal-moderate-conservative numbers in 2008 were 22%, 44% and 34%. Those numbers for yesterday were 20%, 39% and 41%. A big conservative jump, but in all likelihood because liberals didn't vote in big numbers. The author of the article, a liberal, then goes on to explain that instead of "soul-searching," the Democrats should simply "invest $200 million" in "get out the vote" operations. The fundamental question, of why voter turnout was so low, is simply ignored. Apparently, the outrageous conclusion of an otherwise pertinent statistical analysis was that the Democrats simply did not spend enough money to get people out to the polls. There was no hint of irony in the article. Presumably, this is the essence of democracy. "This election will cost the better part of a billion dollars more than the presidential election. And there’s substantial evidence that this is going to be the most expensive election in American history. It could well get well above $4 billion. And the important thing to understand is that that money didn’t just play in the races that we all talk about. It didn’t just play in Senate races and in some congressional races. Karl Rove, in the final days, put a million dollars into California to beat an attorney general candidate who he thought was attractive as a future contender." Obviously the influx of corporate money, which was given the greenlight after the recent Supreme Court decision allowing corporations to spend as much as they want on election advertising, played a role in getting conservative voters to the polls. On top of this, a 24/7 blitz of right-wing media and radio certaintly played its part as well. "The Blue Dog caucus was cut in half, going from fifty-four to twenty-six. At the same time, the seventy-nine-member Progressive Caucus lost about four members on Tuesday. This means progressives will make up a notably higher percentage of Democratic House members in the 112th Congress." For the left, neither the fact that corporate money influenced elections or that progressives maintained their seats are entirely startling revelations. What is different this time around, however, is that this time the right-wing has an extremely vocal, populist front for their corporate policies and anti-democratic, anti-working class predilections. It is called the Tea Party. There has been a tremendous debate on the left in recent months over how, exactly, to deal with the Tea Party movement. Is it a grassroots, reactionary movement fueled by a growing number of ordinary, disillusioned people harboring anti-democratic, anti-government, quasi-fascist tendencies similar to the Weimar Republic prior to a Nazi takeover, as Noam Chomsky argues? Or, perhaps, just a facade of activism put up by the corporate backers and right-wing media hosts that will, as Lance Selfa of SocialistWorker argues, lose its steam after the November elections? Time will tell, and I am not entirely sure either side has the answer. Given the various statistical analysis of the electoral makeup, the influx of corporate advertising, and the significantly low voter turnout, I think there is more evidence to suggest that Selfa may be correct. That does not, however, mean that we should not take Chomsky's warnings seriously. It is conceivable that a growing fascist movement could arise from the nascent Tea Party organizations. Let's not forget the corporate media and big business was just as important in fostering fascist growth in the Weimar republic, forming a base composed of primarily rural and middle-class components, as it is in funding reactionaries here in the United States. Regardless, the Tea Party rhetoric has to be challenged. The question is, how do we on the left go about doing such a thing? I think this is where the debate becomes far more complex. The left, and this includes the revolutionary left, despite our own rhetoric, is not entirely sure where or how to proceed. There are three trends that we ought to consider exploring in more depth. First and foremost, we need to consider running left wing, socialist alternatives in these elections on a more consistent basis. We should not expect to win, but we should expect to use them as tools in order to organize and mobilize our side, to get the chance to go out, door to door, and simply speak to people in "plain proletarian English" (or Spanish! ), to quote Fred Hampton, what socialism really means. Despite the gloomy results of these past elections in the broad sense, we have a very bright spot that should be a source of pride. Right here in Ohio, the so-called Heartland, we garnered 25,311 votes for socialism in the Senate race! I paid particular attention all night to the rising vote tally for the Senate candidate, Dan La Botz, partly because of my living in Ohio, but also because he was, to my knowledge, the only strong, socialist candidate to run for office on an explicitly socialist platform. I do not want to overemphasize the importance of this election either. We on the left have a tendency to, sometimes, exaggerate even the mildest shifts in opinion, even the smallest struggles, as if they were the culmination of working class radicalization. To be fair, La Botz garnered the smallest amounts of votes in the Ohio Senate race, falling behind both the super reactionary Tea Party candidate and the right-wing Constitution Party candidate. Rob Portman, the mainstream Republican, won the race with two million votes, the Democrat coming in a far second with one and quarter million. On the other hand, only three and a half million of Ohio's 8.2 million registered voters actually cast a ballot. As was the trend in the rest of the country, this electorate tended to be whiter, older, and more conservative than those who did not head to the polls. Had Ohio's entire electorate voted, it is possible to imagine our socialist candidate garnering far more than 25,000 votes. Still, we need to consider continuing this trend of running strong socialist candidates in places where we have the organizational infrastructure to do so, or building it in places where we currently do not. In terms of organizing and educational value, I would argue Dan La Botz's campaign was at least a partial success that can, and should, be replicated. Obviously, one could very well point out that we have nowhere near 25,000 active socialists here in Ohio and that passive votes for a candidate does not equate with activism. This is absolutely correct. However, we should rejoice in the fact that we have an audience so large, so open to the idea of radical economic restructuring. This is something we cannot afford to waste. One could only imagine the possibilities, the potential, if we on the left could harness even 5% of that vote and convince them of the need to become dedicated, organized activists. Imagine 1,250 socialists activists in Ohio, something that must be at least five times the amount we have now. That would be a force to be reckoned with! The second trend, developing a macroeconomic analysis and theoretical constructs in which we can explain the world, we are exceedingly brilliant at. Seriously, leftist newspapers, magazines, journals, online or print, provide percussive critiques of capitalism, of the economic system in its holistic form. The system is often accurately described and criticized in terms of its totality. This is a talent which, correctly, those on the left facilitate and cultivate. The third and last trend, however, sometimes suffers at the hand of the second. Our immense focus upon the macroeconomic analysis, often impeccable and lucid, oftentimes does not allow for us to develop the sorts of microeconomic ideas, actions, and institutions which could, in my opinion, lead to a seriously quantitative and qualitative development of our force. We often hear rhetoric about "organizing a grassroots challenge to the right," or "building political alternatives," but when the extent of those political alternatives are simply selling papers at rallies and in universities, once in awhile building a demonstration or educational event, and reading Lenin and Trotsky on Thursday nights, we are in serious trouble. Those of us on the left often exist within an "intellectual ghetto," where we can discuss and debate the intricacies of Marxist theory, of the labor theory of value, or what Engels or Luxemburg meant when they wrote a certain word a certain way, etc., but those sorts of things, simply put, will not garner us any more supporters at the most basic level. I know I run the risk of being attacked for downplaying theory, for not understanding the role that theory plays in the buzzword "praxis," for not having the correct political arguments... I've heard it all before, and I'm prepared to hear it again. Yet, I am not arguing that we should not study theory. On the contrary, we should absolutely study theory when it is appropriate to do so. But we should do two things. First, we need to open up the theorists we allow in what is, essentially, a very "closed" list of Marxist theorists who are, for the most part, white males who died a hundred or so years ago. By no means am I saying discard them, but I don't think its entirely practical for us to read and reread Engel's Socialism: Utopian and Scientific. Nor do I find it particularly useful, despite how intellectually interesting we may find something personally, to argue over how and why dialectics applies to every aspect of nature. "Well, I think that [we're dealing with] the same issues that are important to organize around all over the world. What people are worried about is how are they going to have a roof over their heads? How are they going to put food on the table? And, you know, because of that, what wages are they getting paid? I think that a lot of the radical movements have left behind some of those regular, everyday things. You know, when I talk to people in Oakland—and throughout my time growing up in Oakland, people have said to me, you know, "What you’re talking about, this, you know, revolution, socialism, communism, all of that is great, but I’ve got to pay the bills." There was a time when that was one and the same thing. Right now there is a lot of focus on the macroeconomic problems and what’s left—who’s left to deal with the everyday nuts and bolts of people’s lives are not the radical element. And so, I think that we need to put some revolutionary politics onto some reform struggles that have to do with feeding people, have to do with people getting higher wages. Some militant union work, basically. Things like that." As someone who has seen his father lose the factory job he has worked at for most of his life, and who has watched his family's home go into foreclosure, I understand that these sorts of things are needed now more than ever. I do not think my own father would be so averse to political organization if he felt that we were doing more than simply talking at him about how bad things were, about why he should buy a paper or read about how terrible things are. I understand that the political model of the 1960's New Left failed. I understand that major flaws in Students for a Democratic Society, in the Black Panther Party, and other groups lead, simultaneously with the profoundly intense repression by the oppressive state apparatus, to their downfall and the right-wing, neoliberal resurgence of the 1970's onward. I do not, however, believe that we ought to reject all of their methods because of this. There is an emphasis within the radical left today not on the Black Panther Party's social service programs, for instance, which undoubtedly drew in a plethora of volunteers, activists, and radicals wanting to make a difference, but instead a focus on their newspaper as a pivotal organization point. No doubt, the paper as a means of agitation, organization, and education is important. Yet, I do not see why we must articulate some strict dichotomy between the two. Why does our focus tend towards words, and not action? That is, after all, what the paper primarily represented, analysis, not action. Action without theory is empty, we can be sure of that, but theory that pretends to be active, that purports to represent some sort of synthesis, some sort of praxis, may be even worse. We should ask ourselves what draws people to religious organizations. This should be done not because we hope to aspire to become a religious organization in terms of ideological makeup or intellectual culture, but because their methods and tactics, of providing a sense of community and, in many instances, of providing material relief and support for those who need it, can, at the very least, prove to be valuable tools in taking steps toward socialism. People learn by example. I don't think anyone can argue with that. I believe when Huey P. Newton said, "People learn by observation and participation," I think that everybody caught on to that. So, what we saying here simply is, if people learn by observation and participation, then we need to do more acting than we need to writing, and I think the Black Panther Party is doing that. We didn't talk about a Breakfast For Children program, we got one. Perhaps the most eloquent, articulate, and poetic voice of our age is facing persecution by an oppressive and hostile government. 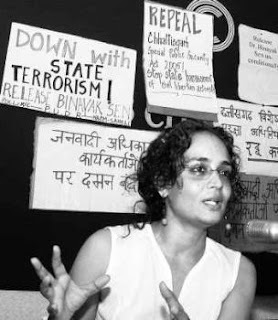 Her name is Arundhati Roy, and for those of you unfamiliar with her, I suggest you spend the next hour or two of free time you get reading her work, listening to her speeches, or exploring the topics she analyzes with such potency. She is currently the target of a campaign against her by the Indian government for speaking out against the atrocities committed by them in the region of Kashmir, a Muslim-majority area occupied by the Indian military and police. On October 31, right-wing thugs from the BJP (Bharatiya Janata Party), which I deal with extensively in my article below, surrounded Roy's New Dehli home, chanting virulent slogans for half an hour before breaking into her home and vandalizing it. Fortunately, Roy was not at home during the attack. You can read her statement about the attack here. "Pity the nation that has to silence its writers for speaking their minds. Pity the nation that needs to jail those who ask for justice, while communal killers, mass murderers, corporate scamsters, looters, rapists and those who prey on the poorest of the poor roam free." The article that follows is one written by me just after the Mumbai attack in 2009. It explores the issue of Hindu nationalism, a topic which Roy has written on extensively. I relied upon her heavily for this article, and quote her on occasion throughout. I hope that this small piece can do her justice, and those of us on the left should stand by her in her struggle against the Indian state, which seeks to silence dissent. Let us help keep it alive. To garner an accurate understanding of the extremely diverse and complex religious atmosphere in India, one must also recognize the inter-tangled web of cultural and political aspects which are, in many ways, fused with religion. Since the 1920’s an ideology labeled Hindutva, outlined in 1923 by one of its founding theoreticians, Vinayak Damodar Savarkar, has galvanized a prodigious revivalism among India’s Hindus. This revivalism takes many shapes, manifesting itself in the form of cultural groups, political parties, private militias, military factions, corporations, businesses, and a host of other social, political, and economic entities. However, all of this has developed within a certain political context where Hindu revivalism is intricately tied into the idea of Hindu nationalism, the concept which regards Hinduism as an ethnic, cultural, and political identity. Similarly, it is inextricably linked with a rather virulent Indian nationalism which, given the ideas expressed by many of its followers and philosophers, borders on fascism in its theoretical postulations. The concept of racial impurity, ethnic cleansing, and a virulent nationalism have stoked religious animosity, propped up an oppressive and undemocratic military occupation in Kashmir, and fueled the recent violence that has gripped India as exemplified in the bloodletting of 1,500 to 2,000 Muslims in the 2002 Gujarat massacre. The term Hindu revivalism is often associated with Hindu fundamentalism, however that label is challenged by some who argue that no such fundamental text exists which can promote the hard-line philosophy espoused by many Hindu nationalists. Savarkar, an atheist himself, regarded Hindutva as less of a religious interpretation and more a way of life, blurring the lines between religion and political ideology. Regardless of terminology, however, the expressions and outcomes of this particular ideological interpretation of Hinduism have, historically, been molded around extremely undemocratic conceptual ideals intended to marginalize minority populations, placate the suffering majority, and empower a small elite sector of society. In India there are various currents of Hindu nationalism. Three in particular, however, stand out among rest. All three are intricately bound up together in ideological convictions yet utilize different vehicles to achieve their aims. The cultural organization, Rashtriya Swayamsevak Sangh (RSS), is, in the words of Indian writer and activist Arundhati Roy, “the ideological heart, the holding company” of Hindu nationalism. They maintain that all devotion should be directed towards the “motherland” of India, promote extreme nationalism, and exhibit an intense absorption of Hindutva by the daily Shakha (meeting) which includes “physical exercises, patriotic songs, group discussions on various subjects, reading of good literature and a prayer to our motherland.” It has approximately 50,000 organized Shakhas all across India, seven million swayamsevaks (volunteers), and 13,000 educational establishments. The Baratiya Janata Party is the political wing of the Hindu nationalists and similarly espouse a doctrine of “strong national defense, small government and free-market economic policies,” intended to promote economic growth at all costs while using the United States’ “War on Terror” as an ideological backdrop to marginalize and oppress the Muslim minority population. The Vishwa Hindu Parishad (VHP) and Bajrang Dal are the private militias, the physical arm of Hindu nationalism. These organizations all have a long history of extremism and brutality, as evidenced in Gujarat. Ever since that evil day, when Moslems first landed in Hindustan, right up to the present moment, the Hindu Nation has been gallantly fighting on to take on these despoilers. The Race Spirit has been awakening... In Hindustan, land of the Hindus, lives and should live the Hindu Nation.... All others are traitors and enemies to the National Cause, or, to take a charitable view, idiots.... The foreign races in Hindustan. . .may stay in the country, wholly subordinated to the Hindu Nation, claiming nothing, deserving no privileges, far less any preferential treatment-not even citizen’s rights... To keep up the purity of its race and culture, Germany shocked the world by her purging the country of the Semitic races-the Jews. Race pride at its highest has been manifested here...a good lesson for us in Hindustan to learn and profit by. We didn’t spare a single Muslim shop, we set everything on fire...hacked, burned...we believe in setting them on fire because these bastards don’t want to be cremated, they’re afraid of it.... I have just one last wish.. .let me be sentenced to death… I don’t care if I’m hanged...just give me two days before my hanging and I will go and have a field day in Juhapura where seven or eight lakhs of these people stay… I will finish them off...let a few more of them die...at least 25,000 to 50,000 should die. After Narenda Modi, the chief minister of the state of Gujarat and member of the BJP, and his government planned the 2002 Gujarat massacre of the Muslims living there, he was quickly reelected with a landslide victory; it is obvious the poisonous virulence of Hindu nationalism runs deep through India’s veins. This sort of violence is inevitably tied into the concept of Hindu nationalism. Racism, xenophobia, and dehumanizing virulence are often the spawn of extreme nationalism and radical concepts of ethnic identity. With brotherhood always comes the risk of otherhood. With ethnic identification comes the threat of ethnic hostility. However, acknowledging ethnic identity does not always have to lead to ethnic violence. A recognition or proximity to one’s cultural and ethnic background should not necessarily lead to exclusion and rejection of other ethnic, cultural, or religious groups. However, within the context of a despondent, poverty-stricken nation such as India where class antagonisms could, and often do, erupt at any moment, the ruling class must utilize some sort of ideological component to repress and redirect class tension. In a society split between rich and poor, ultra-wealthy minority and hungry, exploited, suffering majority, politicians and corporate rulers have no qualms with postulating an ideology which pits poor against poor, Hindu against Muslim, Indian against Indian. All that matters is that they maintain their stranglehold on the power, wealth, and means of production in society. Years ago it was the Dalits, the untouchables, whom could be discriminated against with impunity. Recently, in Gujarat, Muslims were the scapegoat for India’s ills. 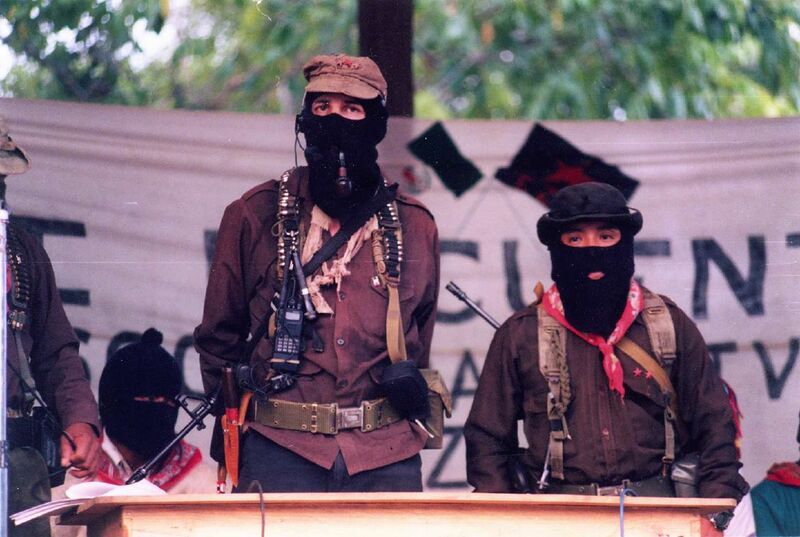 Tomorrow, it will be the revolutionary Maoists who have given up the Ghandian ideal of non-violent resistance to an oppressive state apparatus. The latest violence, as evidenced quite recently in Mumbai, gives credence to the argument that terrorism cannot be stopped, cannot be contained, unless the states which wish to declare war on it first give it up as a tactic to maintain control. The terrific destruction by Hindu nationalists of the Babri Masjid Mosque in 1992, the Gujarat Massacre carried out by the BJP in 2002, and the 700,000 strong occupation consisting of the Indian “army, the police, the paramilitary, the counterinsurgency” that brutally represses the Muslim-majority state of Kashmir must be addressed if atrocities like Mumbai are not to be repeated again. The sort of religious animosity that provides the ideological façade for non-aligned or state-sponsored terrorist atrocities cannot be curbed with anti-terrorism laws or more militarism. It is contained by addressing the root causes of the problems, the very real grievances, and material deprivation which lodges itself in the heart of the politically, economically, and socially marginalized sectors of society. When a reporter asked one of the attackers in the Mumbai attacks why he would not surrender to save his life, he explained, “We die every day. It’s better to live one day as a lion and then die this way.” Roy notes that “He didn’t seem to want to change the world. He just seemed to want to take it down with him.” Religion, it seems, may provide the ideological backdrop which comforts and aides atrocities, allows for the denial of genocide, and the continuance of oppression carried out by the state. Hindu revivalism, and its extremist, nationalist appendage of Hindutva, undoubtedly provides the psychological context in which a massacre can be celebrated rather than reviled. It also promotes the specific interests of a particular group, namely those who control and dictate by maintaining political and economic power. Thus, whatever one chooses to call it, fundamentalism, revivalism, or nationalism, a cultural affinity, ethnic identity, or religious fixation, this sort of virulent ideology must be challenged by all people, Hindu and non-Hindu alike. Reform movements in India who challenge the caste system must also challenge the class system which perpetuates inequality, racism, and xenophobia.